Share the post "Why You’re Having Such a Hard Time Hiring Great Marketing Analytics Talent"
If you’ve been hiring (or trying to hire) marketing analytics talent to grow your business lately, you’ve probably noticed that it’s really, really difficult. But as analytics becomes an increasingly critical pillar of any modern marketing strategy, that difficulty is a challenge businesses must be able to overcome if they hope to remain competitive and drive better marketing ROI. Traditionally, analysts held the role of “number cruncher,” processing hard data and spitting out reports. That simply doesn’t cut it any more in today’s marketing. Modern marketing analysts must be far more than simple data processors; they have to be able to translate their findings into meaningful insights that matter to marketers. Marketing analytics recruitment should be focused on finding individuals with a marketer’s mindset and perspective to see the true potential behind the numbers. The definition of success for marketing analysts has changed. Instead of just reporting, today’s marketing analysts are expected to be storytellers and have an active voice in high-level strategic decision making. That requires an uncommon combination of hard and soft skills and the ability to consider the implications of data on a macro level for the business as a whole. This dramatically shrinks the potential talent pool, because it means you can’t just pick up any analyst and expect to be able to plug them into your marketing department. You couldn’t easily convert an analyst with a finance or inventory management background into an effective marketing asset. Businesses need talent with a firm grasp of the many facets of a quickly-evolving marketing landscape in addition to a strong analytical foundation. Demand in marketing analytics has grown steadily since interest in the discipline first spiked around ten years ago. Click here to see the most up-to-date interest trend from Google. But as the value of exceptional digital analytics talent has become more evident and more companies have opened up related positions, not enough expert analysts have stepped in to fill those seats. At this rate of demand, our economy will be facing a shortage of nearly 200,000 needed analysts within just a couple of years. That talent isn’t going to come out of nowhere; great marketing analysts don’t grow on trees. And colleges aren’t in a position right now to be producing effective marketing analysts that are ready to enter the workforce and hit the ground running. 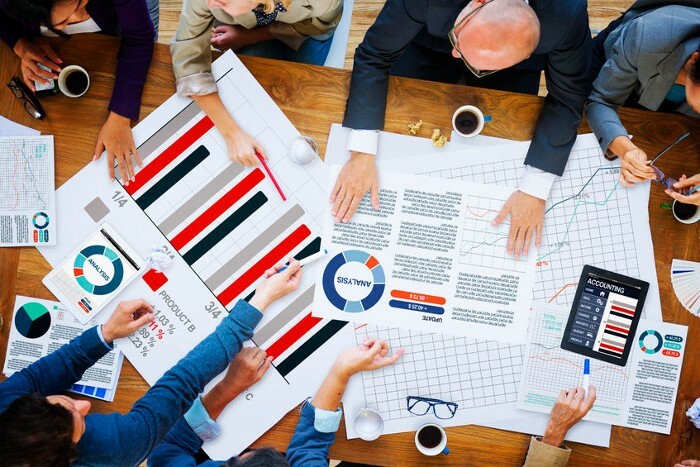 This deficit is driving many organizations toward marketing analytics staffing to get immediate access to to desperately needed marketing analytics insights. These kinds of professionals only develop through time and hands-on expertise, meaning the supply will take quite a while to catch up to the demand. In the meantime, that will also mean that the top professionals in the available talent pool won’t come cheap. You would think that a field full of data trackers and attribution experts would be almost universally good at demonstrating their past success and explaining their contribution to an organization’s marketing growth. However, we’ve found that this is often not the case. Even the most talented and intelligent marketing candidates for a marketing analytics executive search aren’t always diligent about recording their work and and proving their value. Any many intelligent professionals work in organizations that prioritize tracking on “soft” metrics or outdated KPIs, limiting the information they’re able to share about their success. That makes separating the good analysts from the great an even bigger challenge; and makes the (often substantial) investment into new analytics talent that much more of a gamble. The kind of professionals that make excellent marketing analysts are also the sort of people that actively pursue novel, cutting edge positions at trendy, exciting companies. Nearly every business of any size can make use of marketing analytics experts–but those experts tend to look for opportunities in extremely innovative, dynamic organizations. So they may be inclined to overlook your positions in favor of that hip new startup or flashy tech giant, even if your company is a great place to work. If you want to attract them over trendier competition, you’ll have to find ways to spice up your marketing analytics recruitment and catch their eye. The field of marketing analytics is constantly in flux. It’s hard to become an expert in the first place–and even harder to stay that way. One-time pros who were once the cream of the crop can move back to the middle of the pack in just a year or two if they’re not keeping their skills sharp and staying on top of the latest tactics and tools. As demanding as most marketing analytics jobs are, most professionals don’t have a lot of spare time to spend researching new trends or learning emerging tools. The few individuals who can consistently perform at work while staying on the cutting edge of analytics are incredibly rare. Marketing analytics has become so advanced, it has its own diction full of acronyms and highly technical terms that practically sounds like a foreign language. Individuals that aren’t fluent in analytics-speak will have a hard time engaging an experienced expert that thinks in those terms. As smart as he or she may be, your standard HR recruiter or hiring manager very often will not be able to understand or communicate with an advanced marketing analyst about their experience, success, capabilities and interests. That could scare of a lot of the best candidates, who want to work in an environment where their ability is fully appreciated. This is part of why it’s important to work with an experienced marketing analytics recruiter, internally or externally, that can have meaningful discussions with top analytics talent and attract it to your organization. Having a hard time finding the marketing analytics talent you need to improve your ROI? Let us help.